Assorted colors and powers. This styles has a Full-Frame Design. 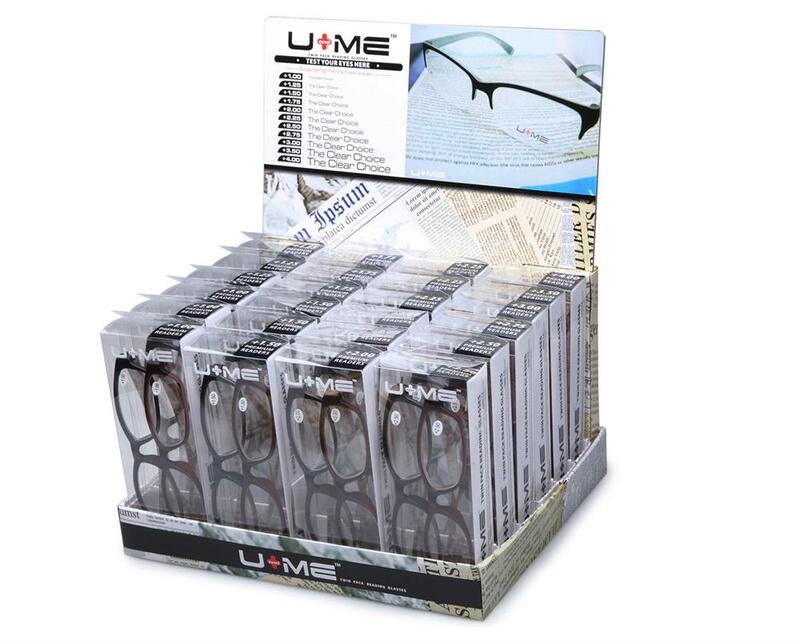 One cardboard display with 24 individual packages (2 pieces per package). Total of 48 pieces.